Rock this on-trend ring with any outfit! 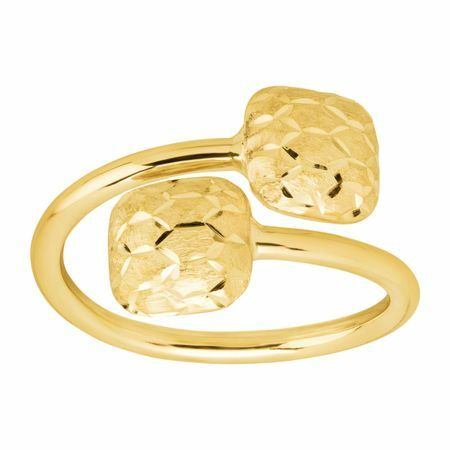 This bypass-style ring features a puffed square bead with faceted texturing on either end, crafted in 10K gold. Ring face measures 9/16 inches in width.